The Talent Brand: Build your Network, Amplify Engagement, Build your Business. Earlier this month I presented an achievEE Employee Engagement webcast entitled: Talent Branding. The Structured Approach to Hire for Culture, and Amplify Engagement. You can view it On Demand here. November is a magical time of the year made special by the official start of the holiday season. 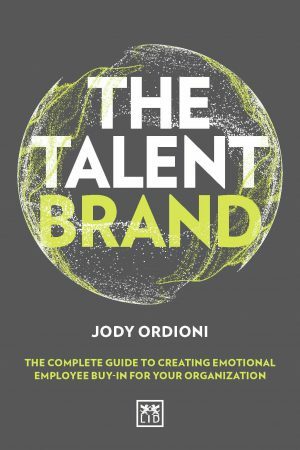 This month also marks the one-year anniversary of the publishing of my book The Talent Brand. The positive feedback has been gratifying and to-date The Talent Brand has received an award for best HR book of the year AND best Marketing book of the year. But building a great culture is a carefully crafted process. It begins with understanding that work connects everyone and has value and purpose in the world. It continues with exploring the rational and emotional benefits of being part of a culture and understanding how and why it’s appealing to some and not to others. And it should set an expectation for what people can expect as well as what will be expected of them in the employment contract. And it must show how everyone can make a difference. It should come as no surprise that the candidate consideration process mirrors the consumer journey: awareness, preference, consideration, engagement, commitment, retention. It is all connected. As we consider the implications we as individuals have on so many outcomes, I want to thank my network for the wonderful outcomes I have realized this year. Thanks to all.